Kaitlin Juarez holding her creations in TechCentral. 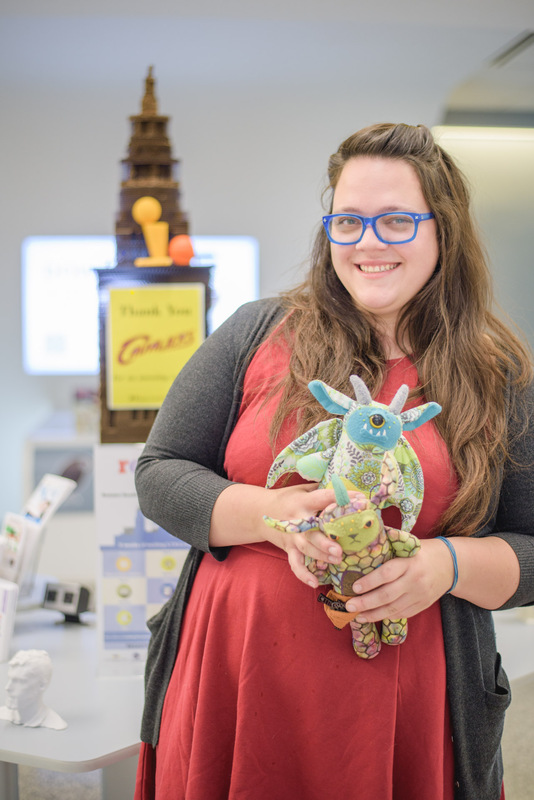 When Kaitlin Juarez moved back to Cleveland after a decade spent living in West Virginia and Rhode Island, she needed to find new facilities to make her line of handmade designer toys—and Cleveland Public Library fit the bill. Juarez’s “monsters” are whimsical fabric characters with playful identities and imagined histories. Juarez crafts the monsters from 100% wool, which she cuts with a laser cutter and sews with a foot-pedal sewing machine to conserve electricity. The eco-friendly process aligns with the characters’ origin myth, which depicts the monsters crash-landing onto Earth and helping humans learn how to preserve and protect the planet. 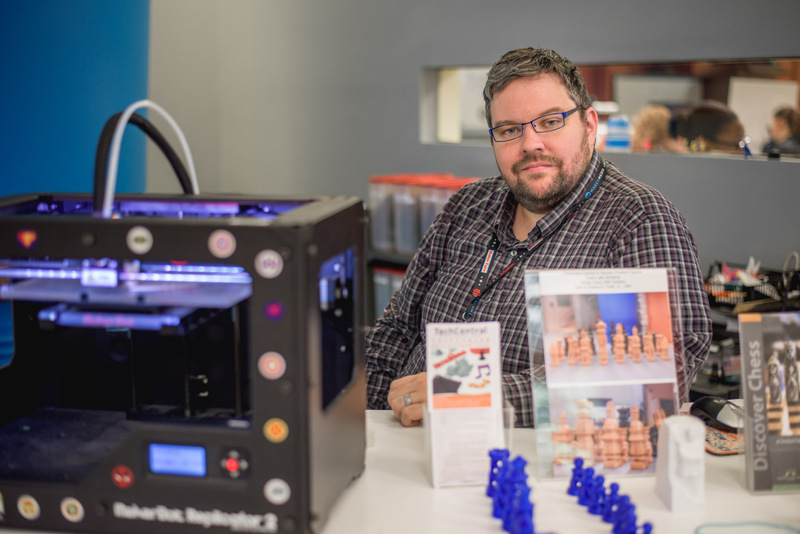 Upon her return to Cleveland, Juarez discovered Cleveland Public Library’s MakerSpace in TechCentral, a free resource for makers, artists, and entrepreneurs that quickly became a part of her monster-making routine. CJ Lynce, TechCentral Manager, says entrepreneurs and artists like Juarez highlight the Library’s focus on innovation and technology. While Juarez has slowed her commercial production of monsters in recent months, she remains invested in the Library and the impact it has made on her business—not to mention the Cleveland community at large. Cleveland Public Library is a 5-Star Library!